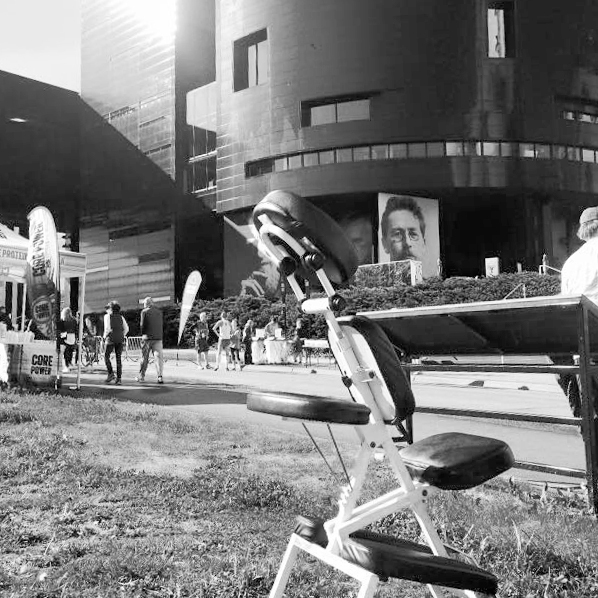 "Corporate Wellness" has become a popular catchphrase in some circles, and chair massage fits perfectly into that model. 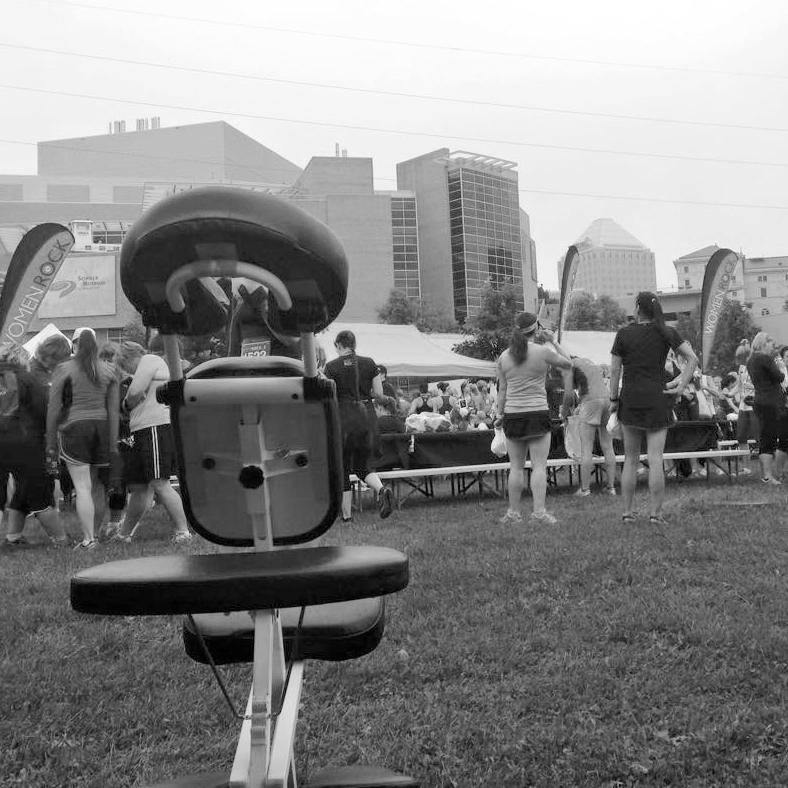 I have had the pleasure of working with several companies performing chair massage on-site at their office or at a corporate event for employees and/or event attendees. The events have been for employee appreciation, product launches, backstage at concerts or events, health fairs, or simply a (monthly, quarterly or special occasion) break for employees from their high-stress routine. Each client who has sat in my chair has risen feeling relaxed, rejuvenated and appreciative of not only the massage, but also of their employer for sponsoring the event. It is an absolute win-win for all involved. Have a large event and need multiple massage therapists? 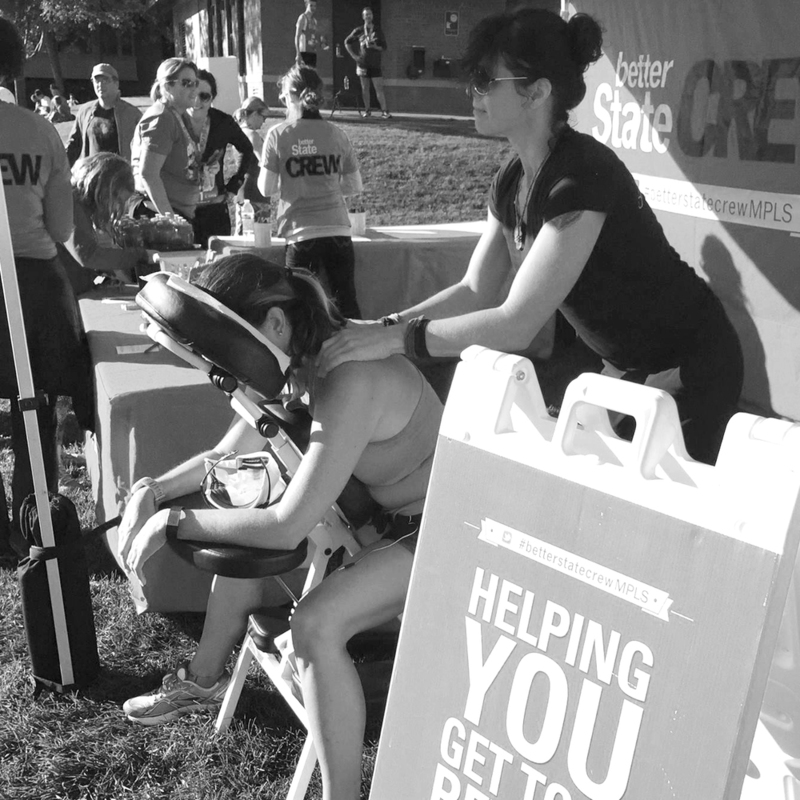 For large events or companies, I regularly partner with other qualified massage therapists. 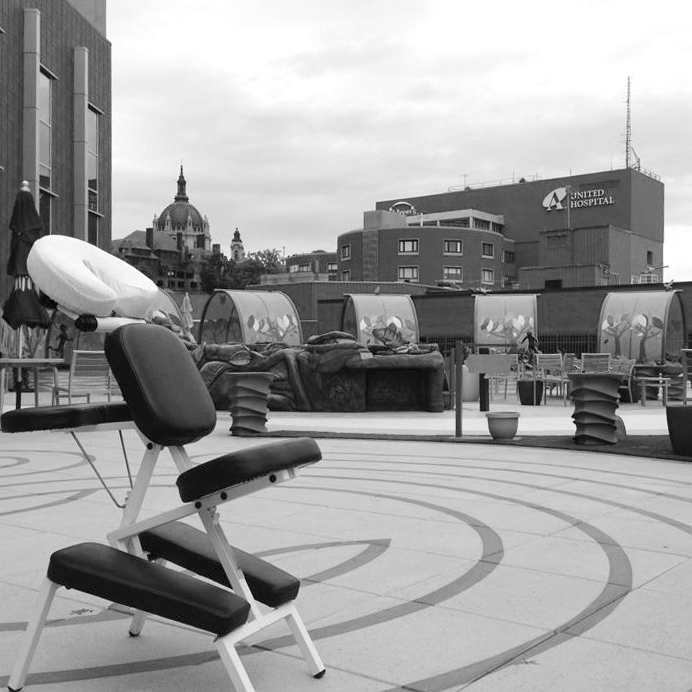 To download an informational pdf about Corporate Chair Massage, click here. Where have you seen Subtle Revolution Massage? - at rallies, festivals, gatherings and more! Thank you! Jonelle Prow will be in touch with you shortly.